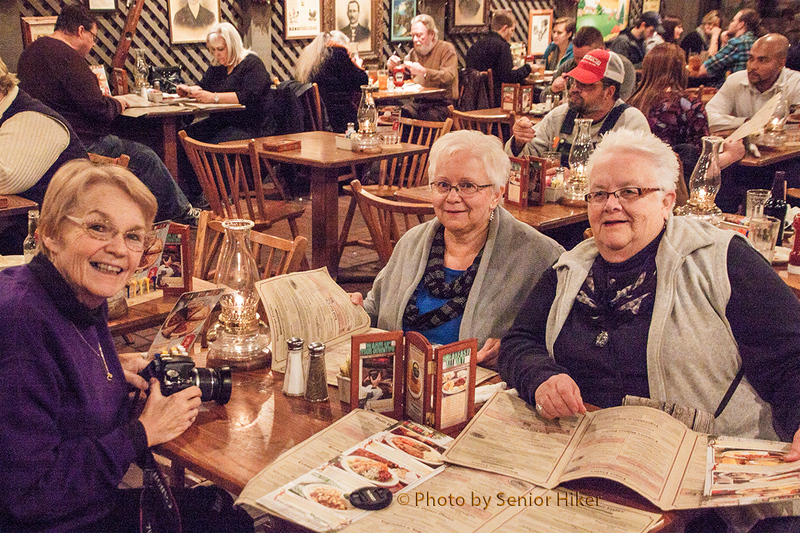 Betsy, Ruth and Gwen at Cracker Barrel, Nashville, Tennessee. December 29, 2014. Betsy and I celebrated the holidays by meeting a blog friend in person. We have both followed Ruth for several years, and she quickly became a friend whom we enjoyed visiting on world wide web. Ruth is a marvelous photographer, and you can check out her beautiful blog HERE. 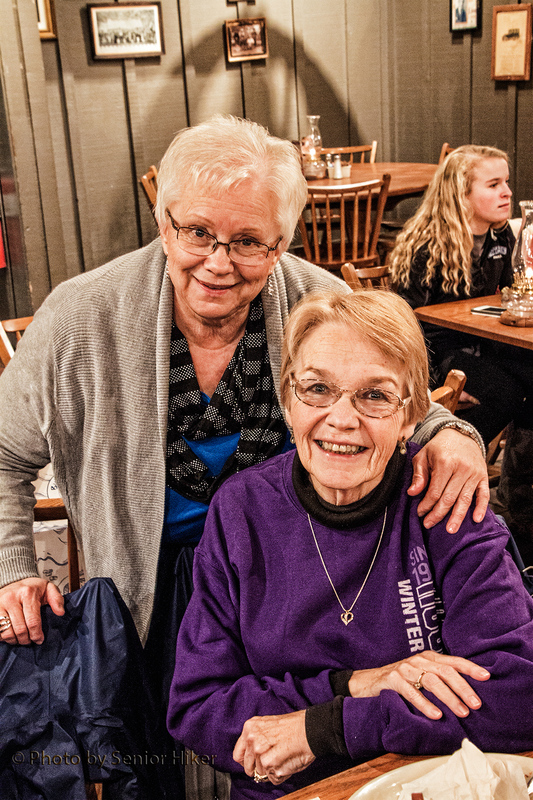 Ruth lives in western Canada, so when we learned several weeks ago that Ruth and her friend Gwen would be attending a gospel music convention in the Opryland Hotel in Nashville, we couldn’t let her get that close without meeting her in person, so we made plans to meet them. Since neither Ruth nor Glen had ever been to Tennessee, we took them to Cracker Barrel for some good southern eating. Although we introduced them to cornbread and chicken and dumplings, the highpoint of the evening was talking as only friends can talk. Ruth and Betsy, Nashville, Tennessee. December 29, 2014. Ruth mentioned that she would like to get back to Tennessee with her son some day. We hope she makes it so we can show her the beautiful mountains of east Tennessee. Of course, we warned her that one of these days we might show up on her doorstep in Manitoba.